You can see this Blackberry IMEI and PIN in a way that the homescreen menu, select Options then select Status and press the same key ALT + Shift + H it will show the IMEI number and PIN. Make sure the PIN and IMEI numbers match those in place and the battery box. To check this go to menu -> Options -> Status, then type BUYR. 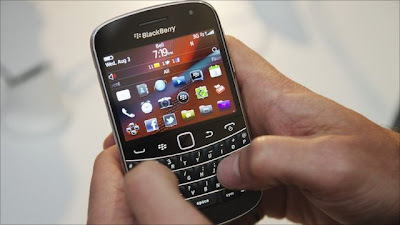 When a new BlackBerry that is visible only zero, but if the message Exceeding 120K and Voice Usage Exceeding 60 Minutes, you should think twice, because the BlackBerry device has already been used. Note the box along with the accessories, and that the IMEI number listed in the same box on your mobile phone. Note the IMEI sticker, plastered neatly and make sure there is no suspicious things such as fade, or IMEI stacked stickers (stickers cover the other). Hopefully few simple tips to distinguish genuine or fake BlackBerry above useful for you who want to buy BlackBerry phones. You have finished reading How to Check BlackBerry Original Or Fake and many articles about Tech Gallery in our blog this, please read it. and url link of this article is https://littlebitjohnny.blogspot.com/2013/02/how-to-check-blackberry-original-or-fake.html Hopefully discussion articles on provide more knowledge about the world of new tech gadgets.